It doesn’t matter If you are new to the System Center stack or if you have been working many years in the System Center field, we all share the same problem. How are we keeping up with this massive amount of information dropping in every single day? There are so many excellent sources out there but you have to find it and get informed if there is a new article or blog post. I think staying up-to-date is essential for must of us, especially if you are working as a consultant. So, how are we staying ahead? Well, I like Twitter very much when it comes to interact with the community and getting information immediately. In my opinion Twitter is the fastest source for getting information almost in real-time. One other source which everyone knows about, but somehow not a lot of people are using are RSS feeds. This technology started about 15 years ago and was developed further up to now. RSS feeds are based on XML and publish the blog or website in a structured way. Almost any blog / website has such a functionality and if enabled it lets you collect all the published content in a very comfortable way. You can use many applications for displaying RSS feeds like Internet Explorer, Outlook or dedicated applications like Feedreader . 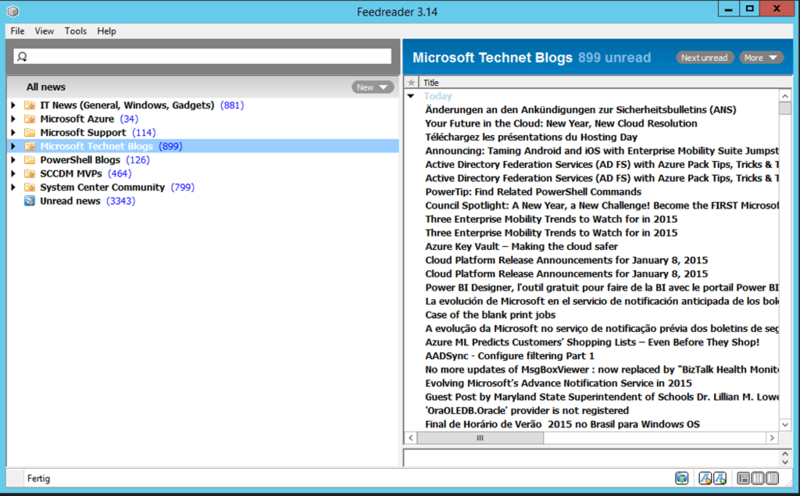 You can use Feedreader online or install it on your Windows box. I would like to share my (personal) feeds which I collected and tried to categorize by topic and / or technology (download the OPML file at the end of the post). 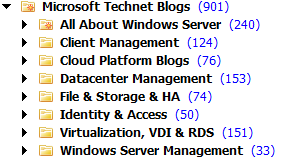 I tried to collect as many good and reliable sources for staying up-to-date in the System Center field. If I missed any valuable source it was not my intention, let me know and I will add it. If you are not interested in certain parts you can easily delete or update these feeds yourself. 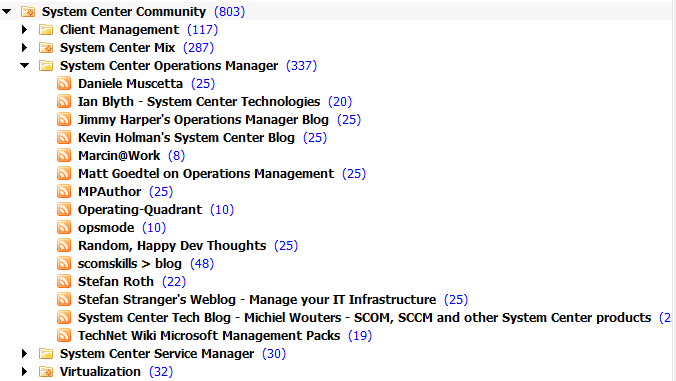 My goal was to provide a solid System Center / server management / community RSS feed collection. I exported the above feeds in the OPML format which you can import in almost any feed reader. 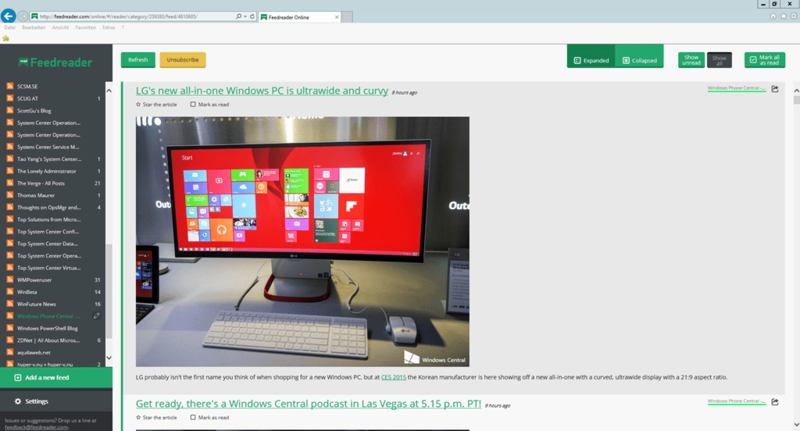 You can find the file here TechNet Gallery .